Alibaba's purchase of 36.16 percent of Sun Art is aimed at boosting the integration of the e-commerce giant's online and offline businesses. Alibaba Group will pay HK$22.4 billion (US$2.9 billion to buy 36.16 percent of Sun Art Retail Group, which operates Auchan and RT Mart malls, from Ruentex Group as it works to drive offline and online business synergies. “Physical stores serve an indispensable role in the consumer journey and should be enhanced through data-driven technology and personalized services in the digital economy,” Alibaba chief executive officer Daniel Zhang said in a statement on Monday. Auchan Retail, Alibaba Group and Ruentex will each hold about 36.18 percent, 36.16 percent and 4.67 percent of Sun Art after the the deal. According to a joint statement, the new alliance will enable Sun Art’s activities to benefit from Alibaba’s digital ecosystem. “Sun Art is also endeavoring to move from offline to online, and Ruentex is delighted to see the win-win collaboration between Sun Art and Alibaba with high synergies in online and offline that will meet the needs of consumers for a better life with better products and services and higher efficiency,” said Ruentex vice chairman Peter Huang. Potential collaboration between Alibaba’s on-demand delivery service — “Taobao Daojia” — Auchan and RT Mart includes access for Auchan and RT Mart stores to Alibaba’s business model and online platform, data sharing and the integration of systems and Point of Sale hardware. 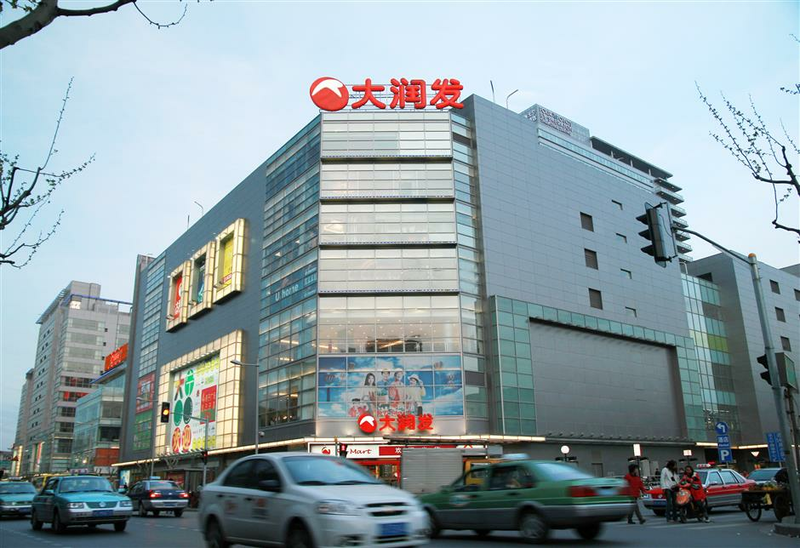 Sun Art operates 446 hypermarkets under the Auchan and RT Mart brands around China. “The investment and strategic alliance with Sun Art is definitely another good move, not only because of Sun Art’s extensive presence in China but also RT Mart’s high standards and strong performance in operating offline hypermarkets,” said Veronica Wang, an associate partner with OC&C Strategy Consultants. RT Mart launched a proprietary online shopping site, Feiniu.com, in 2013 but it has had limited success. Li Hua, the chief editor of Business Observer, an online portal tracking the domestic retail industry, said daily necessities, fast moving consumer goods and its offline presence remain an advantage for RT Mart, which could complement Alibaba’s online traffic and technology capabilities. Alibaba’s foray in the offline retail sector dates back to its share-swap deal with Suning Commerce Group in 2013. It has also teamed up with Shanghai-based Bailian Group, privatized Intime Retail Group and bought 18 percent of Hong Kong-listed Lianhua Supermarket Holdings. Potential collaboration between Alibaba's on demand delivery service "Taobao Daojia" and Auchan China and RT Mart China include granting the Auchan and RT Mart storesaccess to Alibaba's business model and online platform, data sharing and integration of systems and POS hardware. It will digitize and introduce new retail solutions at Sun Art stores, including online and offline integration together with modern fulfillment and personalized customer experience. Veronica Wang, an associate partner with OC&C Strategy Consultants, said: "The investment and strategic alliance with Sun Art is definitely another good move not only because of Sun Art’s extensive presence in China but also RT Mart’s high standard and good performance in operating offline hypermarkets." RT Mart's proprietary online shopping site Feiniu.com was the hypermarket operator's first attempt of online operation since 2013 but has had limited success. Chief editor Li Hua of Business Observer, an online portal tracking the domestic retail industry, said daily necessities and fast moving consumer goods and offline presence is still an advantage of RT Mart, which could serve as a good complement to Alibaba's online traffic and technology capability. Alibaba's previous foray in the offline retail sector dates back in its share-swap deal with Suning Commerce Group in 2013. It also teamed up with Shanghai-headquartered Bailian Group, privatized Intime Retail Group and purchased 18 percent stake in Hong Kong-listed Lianhua Supermarket.